Over the years, market researchers and social scientists have developed numerous ways to package people into clusters of common features in order to better understand who they are, how they behave, what interests them, and what makes them tick. Who is the proto-typical Millennial? Demographics are an interesting way of understanding and predicting behavior, but these numbers alone are incapable of understanding the diversity within, age, regional, income, and ethnic groups. 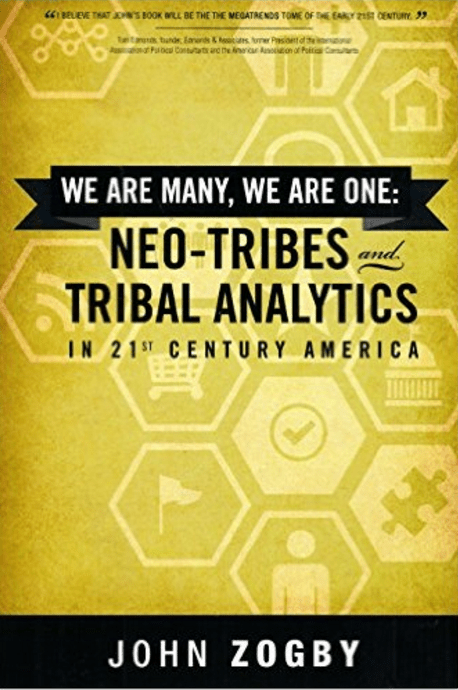 From the Adventurists to the Dutifuls, The God Squad to the Happy Hedonists, this book explains the characteristics that best describe each tribal group, those that one group has in common with other tribes, and those that set the tribes apart. Tribal Analytics presents a new tool to help fit individuals into the changing workplace. This technique can be equally helpful to political strategists, religious leaders, career counselors, brand managers and marketers. Based on seven years of research and a super sample of 6,400 respondents, this book offers a framework to help you understand and predict human behavior in a world connected less by geography and demographics, and more by shared interests and social media. According to super pollster John Zogby, whom The Washington Post calls “the maverick predictor,” the conventional wisdom about the United States–that we’re isolated from the world, politically fragmented, and inclined toward material pleasure–isn’t just flawed; it may be 180 degrees from the truth. 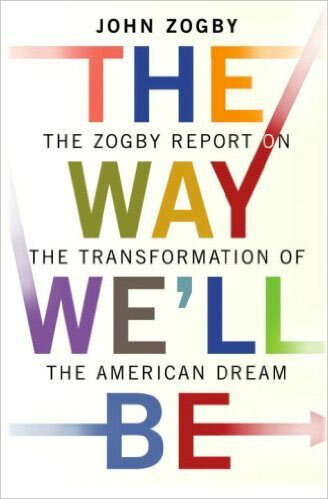 In this far-reaching and illuminating look at contemporary American life, Zogby reveals nothing less than The Way We’ll Be. Drawing on thousands of in-depth surveys conducted especially for the book, Zogby points out where we’re headed–politically, culturally, and spiritually. Beyond telling a fascinating story, the conclusions in this book are a must-read for everyone from Main Street to Madison Avenue to Capitol Hill. Filled with expert analysis and insight from one of today’s most successful predictors and trend spotters, The Way We’ll Be will redefine how we view America’s future. Veteran pollster John Zogby teams up with leading Millennial Management Consultant Joan Snyder Kuhl to provide a detailed analysis of why Americans born between 1979 and 1994 are truly more globally aware and sensitive, how they want to make their workplace and planet a better place, and how we begin to understand them and position them better to play out their destiny. 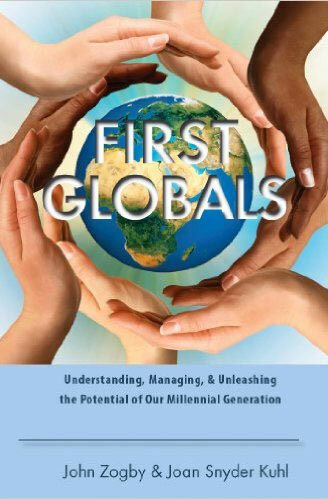 First Globals are a transformative group and Zogby and Kuhl provide a clear road map for managers, marketers, change-makers, parents, and First Globals themselves. So much of the literature written and blogosphere discussion about Millennials has been about their self-centered-ness, even outright selfishness, immaturity, deferred adulthood, and laziness. To a great degree this is simply ahistorical and out of context. For nearly one hundred years (think the “Roaring Twenties” era of flappers, fraternity pranks, bathtub gin, automobiles denounced as “houses of prostitution on wheels”) twenty-somethings have been generally focused on themselves. “Hooking up”, staying at home until married, low-end startup jobs (especially for young women) are not really new at all. Over the past three decades, parents have structured the lives of First Globals and raised their (and our) expectations too much, just as we have (until 2007 at least) proffered too many choices that were bound to be unfulfilled. With so many going to college and accumulating so much student loan debt, it is not surprising at all that there is a lot of impatience, disillusionment, and deferred (even lost) dreams. 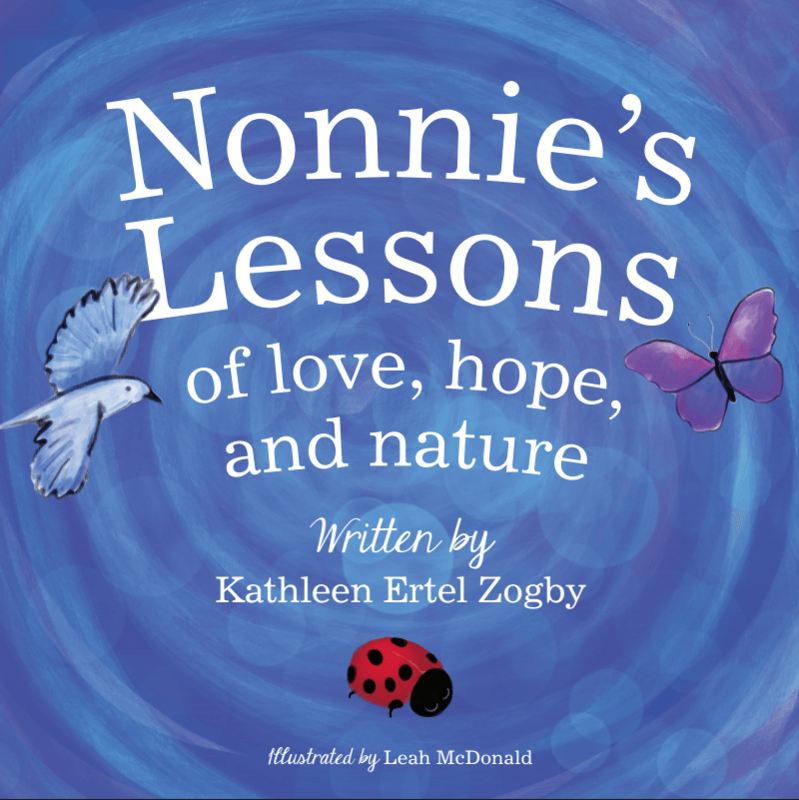 Nonnie’s Lessons of love, hope, and nature offers content that is universal and will be sure to touch the hearts of all ages, faiths and backgrounds with its ­­­­­inspirational and nostalgic story-telling. Download a free excerpt from the book – Emily’s Sparrow (PDF).